C3H5N3O9: what a curious name for a watch brand. The chemist amongst us will recognise this as formula fo Tri Nitro Glycerine...or dynamite. 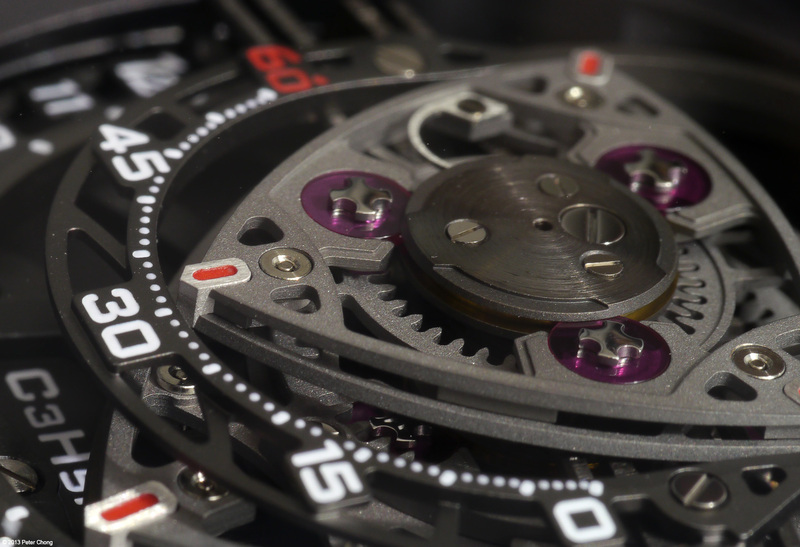 A horological experiment born out of the wickedly curious minds of Max Bussier, Felix Baumgartner and Martin Frei, this playful, whimsical and immensely interesting watch is based on the principle of the Wenkel engine. I won't provide any technical information as Nitro's own website describes it very well. 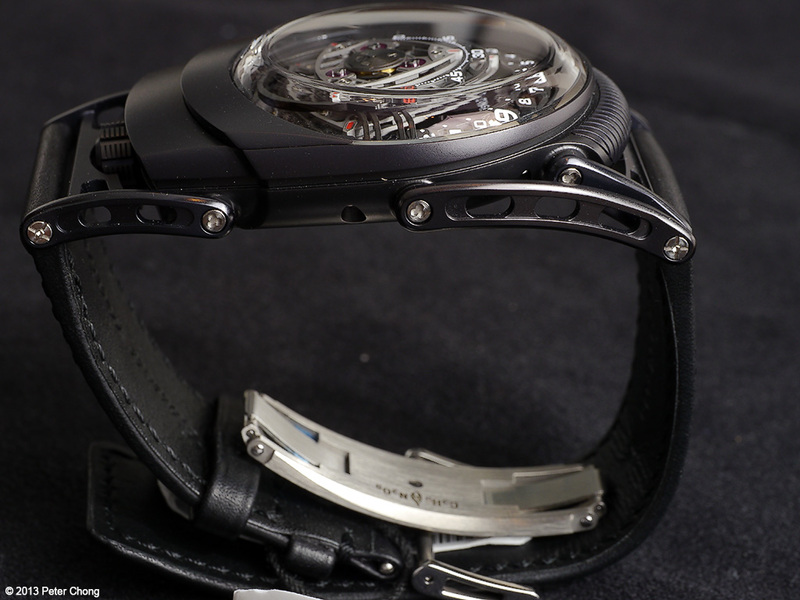 I took the opportunity to photograph the special and final delivery of the watch...a Hour Glass special, in black. Limited edition of only 12 pieces, exclusive to The Hour Glass. Rather comfortable, on my wrist. 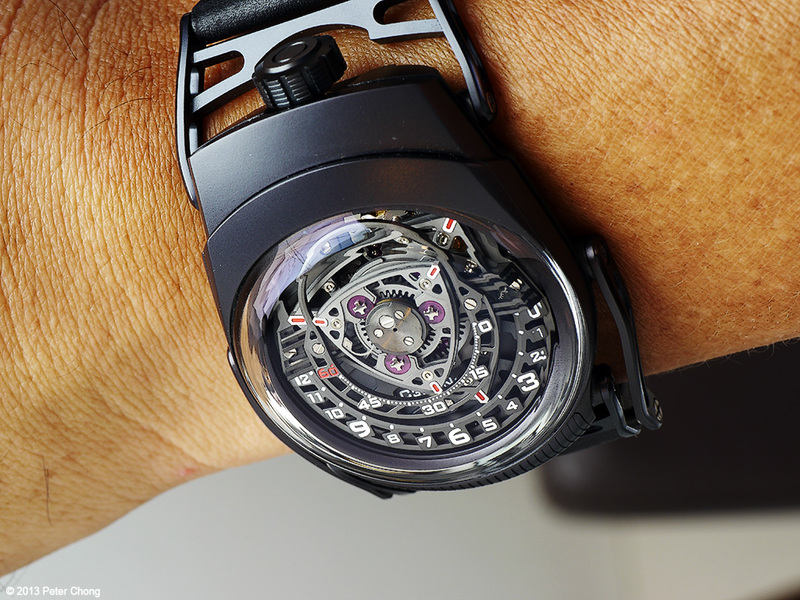 The watch is an interpretation of the Urwerk satelite system. The dial is rather special, with the Wenkel engine's curved triangle taking pride of place and used as a pointer to the time. Called, Reuleaux polygons, the red tip of the larger, lower triangle points to the hour indicater. Minutes are indicated by the upper and smaller triangle. Beautiful and magnificent. 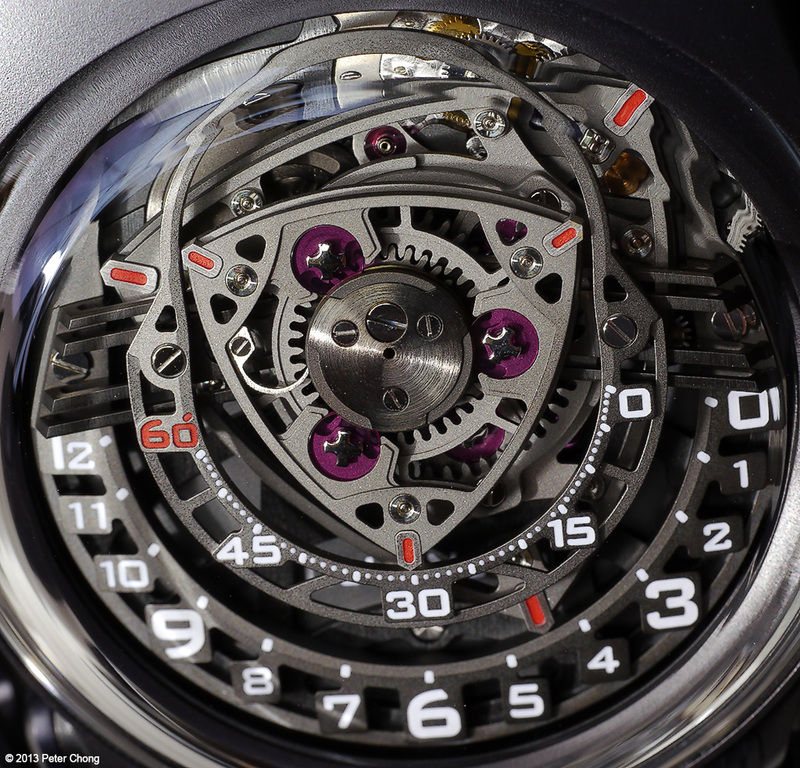 The raw engineering look and feel of the watch really reminds one of the engine.